Save energy and money with this LED technology Solar Post Light. This sturdy traditional design is built of strong cast aluminum with a clear glass lens. Bright white LED's offer 150 lumens peak light output and 8 hours of operation run time on a full charge. 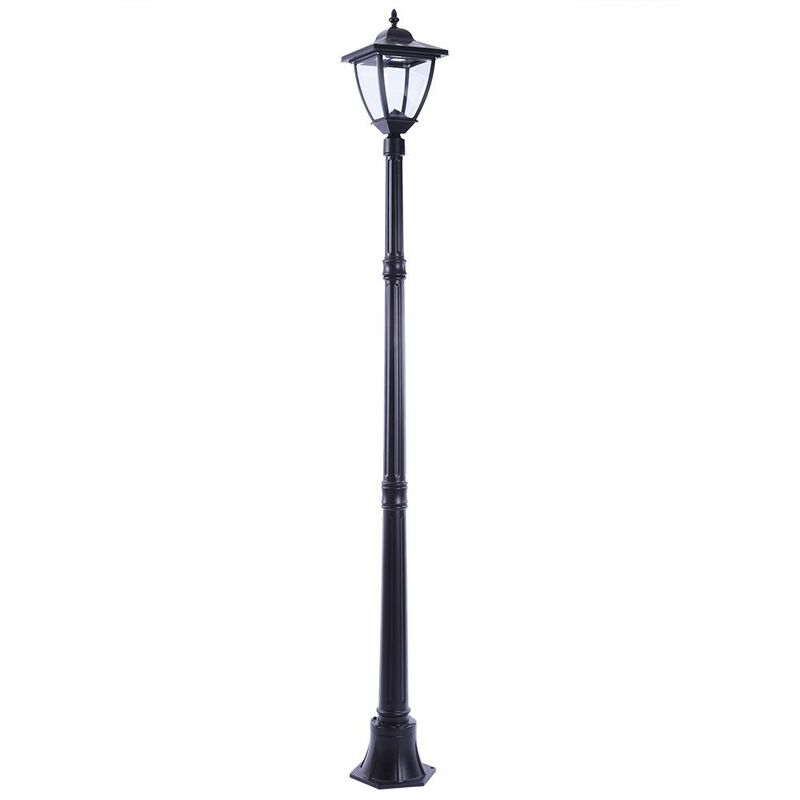 1-Light 150 Lumen Black LED Solar Outdoor Post Light Save energy and money with this LED technology Solar Post Light. This sturdy traditional design is built of strong cast aluminum with a clear glass lens. Bright white LED's offer 150 lumens peak light output and 8 hours of operation run time on a full charge.